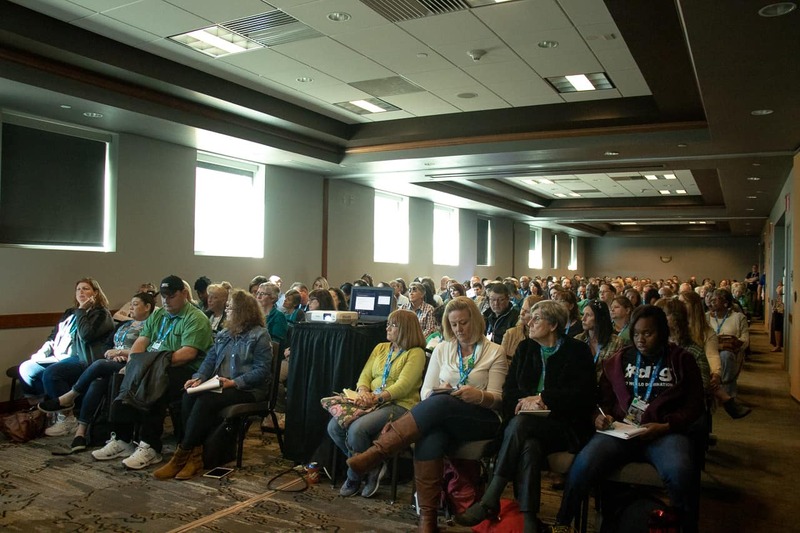 Record-breaking attendance was seen this year at the Transporting Students with Disabilities and Special Needs Conference in Frisco, Texas, presented by School Transportation News. Attendees traveled from all over the country, looking for knowledge and trainings to bring back to their school districts and school officials. While many attendees were returners, others were experiencing the conference for their first time. First-time attendee Matthew Beal, the fleet coordinator for College Station ISD in Texas, told STN he learned a lot about video surveillance, when to pull the footage, and when and how to trust your drivers. The “Coffee on Us, Tips Are Appreciated” closing session on Wednesday morning stimulated good conversations among peers and TSD staff in a focus-group setting. While many attendees expressed their gratitude for the number of expert speakers, some wanted even more one-on-one time with the presenters. Richard Eddington, the director of transportation for Park City School District in Utah, said he was impressed by the number of experts who were available for questions and he was able to gain many new ideas to help solve challenges. Dozens of attendees agreed they obtained knowledge that they will take back to their own states and school districts. Others said it was refreshing to see that they were doing things correctly in their transportation department. One attendee said during the closing session that his district transports many students with autism, so attending a session by speaker Patrick Mulick on supporting students with autism was very helpful. He added that the TSD Trade Show was productive, because it allowed him to interact with representatives from companies that he had been working with. Vicky Dean, a route coordinator and instructor for Box Elder School District in Brigham City, Utah, said she felt the conference was very informative, especially the workshops that focused on the legal aspects of transporting students with disabilities. Others felt the panel sessions, while informative, needed more time, in order to foster more in-depth discussions. Wendy Akita, president of Akita Enterprises, Ltd., said it was her first time at TSD. She enjoyed the focus on special education students and situations that transporters have to deal with. She said she especially enjoyed the information on bullying that was provided Monday morning by trainer Heather Hirsch, as she said it was extremely important information that needed to be shared. As the workshop came to a close, an attendee advised others not to be afraid to speak out and discuss the issues they are having in their home district. If the speaker doesn’t have an answer to the problem, she added, there is an entire room of people who could be experiencing something similar. The attendees said she walked away with an entire list of things she can now go back and try.